New research is showing that coconut oil can supply the brain with a very clean source of energy that prevents unwanted short-term symptoms and is effective at preventing and treating neurodegenerative disease states (1). This article will discuss the coconut oil brain health connection and how to use coconut fats to support your brain function. In many neurodegenerative conditions such as Alzheimer’s neurons in certain regions of the brain have become insulin resistant. Insulin is the necessary hormone that brings glucose into cells where it can be used for energy. This is Diabetes in the brain. When brain cells become resistant to insulin they are unable to get glucose and they become malnourished and begin to die. Because the brain is unable to lower circulating blood sugar levels these levels remain high. High blood sugar is neurotoxic in that it binds with protein molecules to create advanced glycolytic enzymes (AGE’s) (2, 3, 4). These AGE’s dramatically increase oxidative stress levels in the body and have a particular affinity for damaging neuronal tissue (2). This combination of high blood sugar and low energy states within the brain cells is the perfect storm for massive brain cell death. Coconut Oil is considered one of the best fuels for healthy brain function (5, 6). Outside of mother’s milk, coconut oil is nature’s richest source of medium chain trigylcerides (MCT’s). Medium chain triglycerides (MCT) are not processed by your body in the same manner as long chain triglycerides. Normal fat metabolism depends on bile salts that have been released from your gallbladder before it can be broken down in your digestive system. 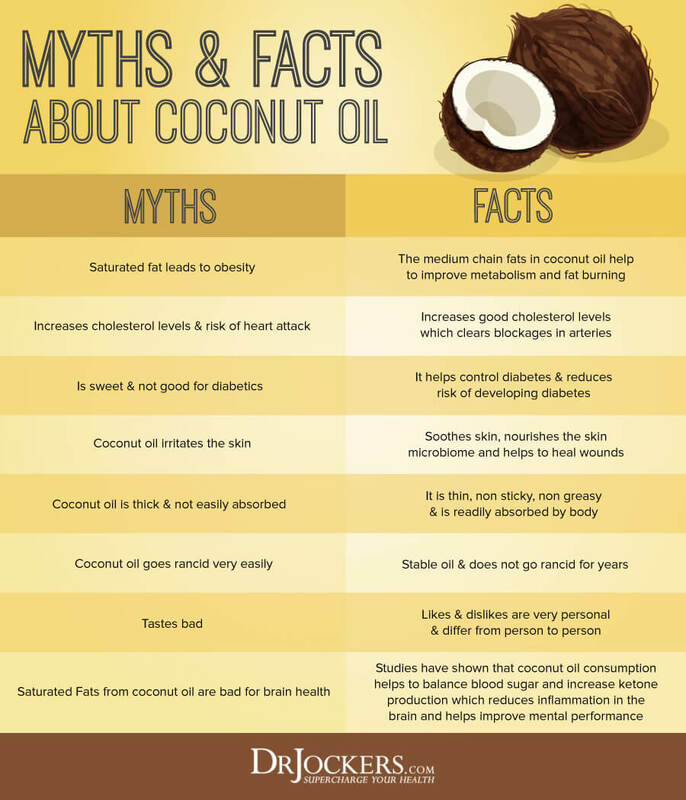 The coconut oil brain health connection is due to the impact of these coconut fats on stabilizing blood sugar and reducing inflammation in the brain. 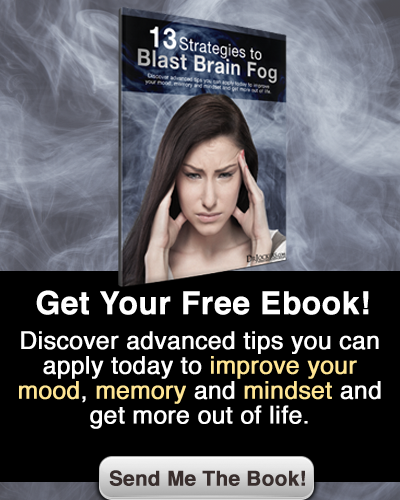 Using the coconut oil brain health connection to drive down brain related inflammation is extremely helpful at improving mental performance and reducing the risk of brain related disorders. MCT’s bypass bile metabolism and go directly to your liver where they are converted into ketones (7). The liver then immediately releases the ketones into the bloodstream where they are transported to the brain to be used as fuel. Research has shown that the ketone bodies produced by MCT’s provide a stable source of energy for the brain during periods of low blood sugar without the neurological risks associated with high blood sugar (8). 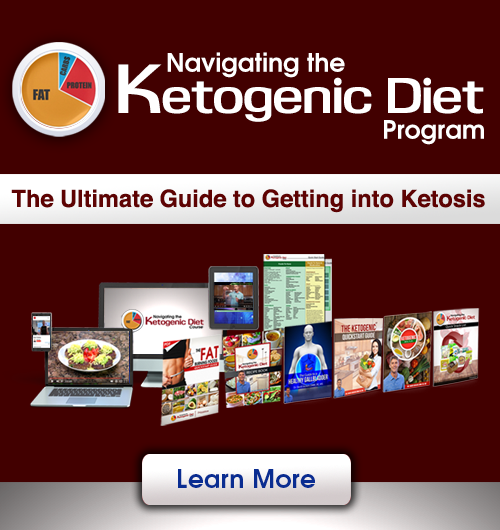 This is why ketones appear to be the preferred source of brain food in patients affected by diabetes or any neurodegenerative conditions such as Alzheimer’s, Parkinson’s, ALS, & Multiple Sclerosis, etc. (9). One of the leading authorities on MCT research is Dr. Mary Newport. She has shown that ketone bodies may help the brain recover from lack of oxygen induced brain death in newborns through adults. (10). Additionally, ketones can help the heart patient recover from a heart attack and they can affectively shrink cancerous tumors. Additional research has shown that regular MCT consumption in dogs with “age-related mental decline” increases the phospholipid and omega-3 fatty acids (EPA & DHA) content in the parietal cortex of the brain (11). Omega 3 fatty acids are found in fish not coconut oil. The researchers believe that the presence of the MCT’s allowed omega 3’s to be liberated from fat stores & utilized in the brain where they are most needed to help form solid memory centers. The average sized adult should consume 3-4 tablespoons of coconut oil daily. This could be taken orally, added to food, or applied onto skin. It can be taken in the form of coconut oil, milk, meat, or flakes. Coconut milk provides approximately 1 Tbsp of coconut oil for every 3 ounces. People with diabetes (type 1 & II), or neurological disease would benefit from up to 8-10 tablespoons of coconut oil or MCT oil daily. Can you mix the coconut oil and MCT oil together? How do you take MCT and coconut oil daily. Would you give examples? Thank you…………. Coconut oil is MCT oil. Just take a big tsp or tbsp of the coconut oil straight up or put in shakes, cook with it (you should ONLY cook with coconut oil) and put it on your skin. All these ways count! Coconut butter is like crack for me. So, so delicious! It’s like white chocolate – a true healthy treat. Does it have the same benefits as the oil I wonder? A great article on coconut oil Dr. Jockers. Keep up the good work. Can eating coconut have the same benefits? What quantity of the pulp can be appropriate. Particularly for diabetics. Thanks. I would recommend taking the tablespoons through food – putting them in shakes, cooking with it and pouring it on top of the meat, applying to skin, making recipes (such as we have on DrJockers.com) etc. A good article but most people do not know that refined nonGMO coconut oil has the same benefits but without the taste. Many have objection to the smell or taste. Good point, I highly recommend organic coconut oil. Currently there is no such thing as GMO coconut oil.